Accessing cables can be a hassle. Keeping them clean and tidy is another hassel. Xybix's table bases keep all the cables you need organized and in seperate pathways. Easy access allows Tech's to reach everything that's important quickly and easily. Call or email Xybix for more information on cable management. 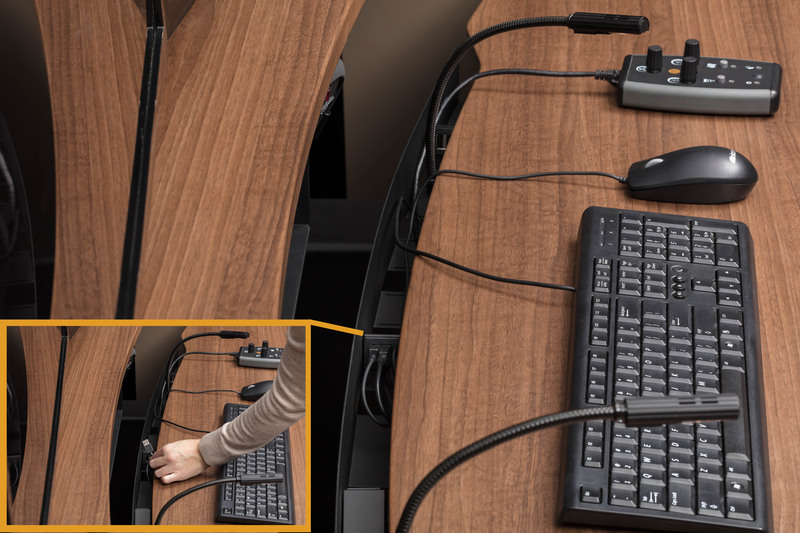 Data Dock brings simplicity to your fingers, allowing users to quickly connect and disconnect keyboards and mice without interruption to work activities. The plug-and-play connection bay is located on the back edge of the keyboard surface. Xybix’s patented Rollervision® is a multiple computer monitor focal depth adjustment technology. Now users can ease eye strain by adjusting ALL of their workstation monitors with one single motion. Console monitors are located on a movable platform attached to an arched metal frame. With more stregth and stability then ever before, a ticker wider attachment to accomidate all sizes of monitors. Easily swap, plug/unplug monitors without the use of tools. 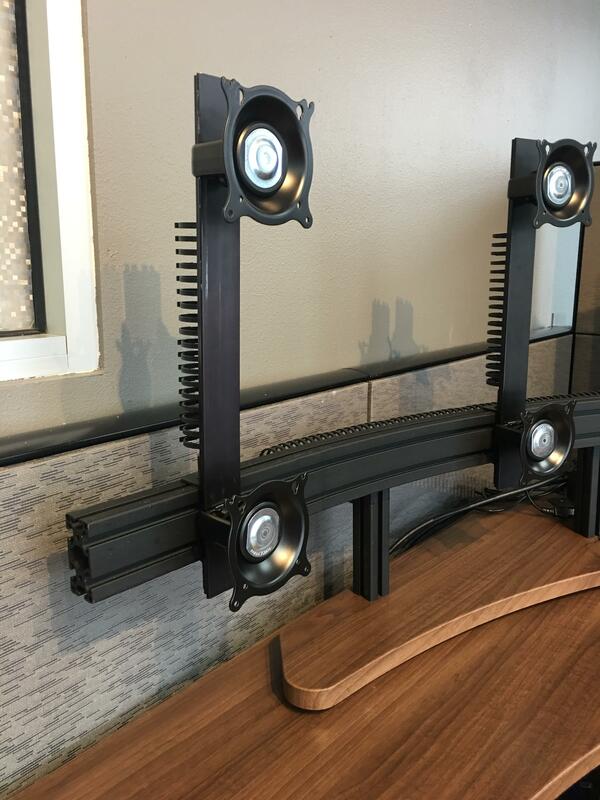 Add monitors quickly and easily to existing workstation monitor array with Xybix's monitor mounting Quick Stack option. Xybix's patented Rollervision® allows for simple monitor replacements and upgrades. 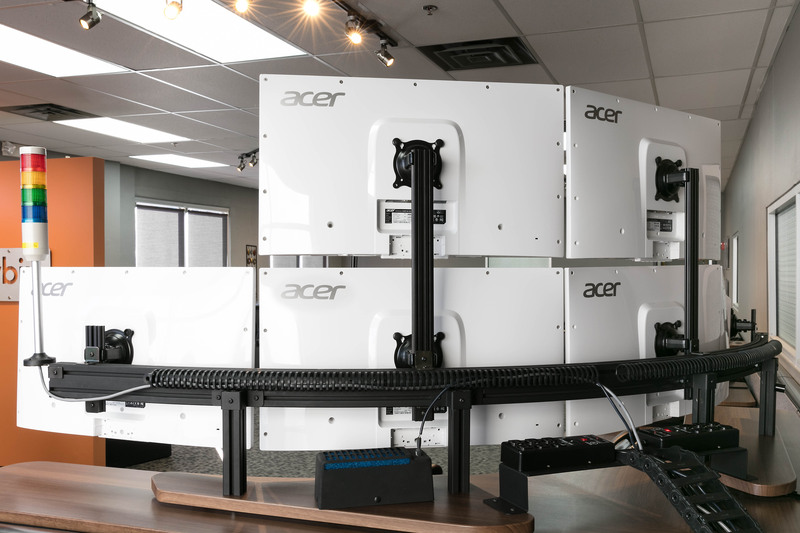 The modularity of the stack on option allows for future upgradability to accommodate more and larger screens, all the way up to second rows of screens. Ease of access makes swapping cables, computers and more simple and convenient. Off-to-the-side open access from the top, rear and front allow techs the convenience to do what they need to without interrupting the user - or crawling around under the console. Effective cable management means providing easy access to all wiring, while concealing unsightly cabling and securing it for repetitive movement throughout the console. 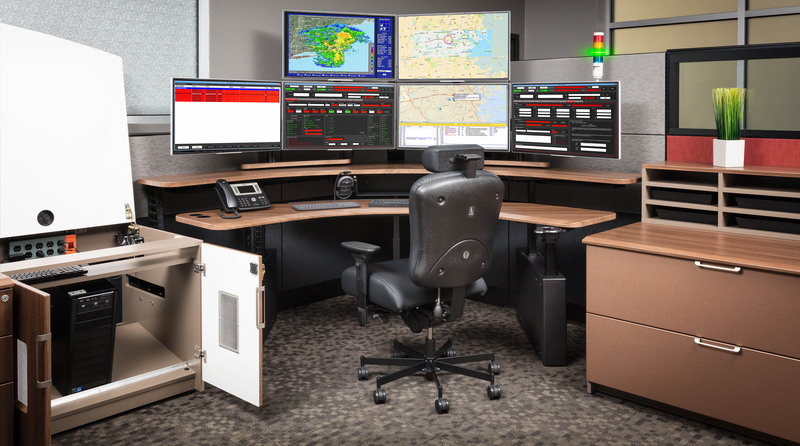 In-panel cabling, effective energy chain cable management, innovative and exclusive DataDock desktop power/data provides Tech's & users with a complete end-to-end cable management solution. 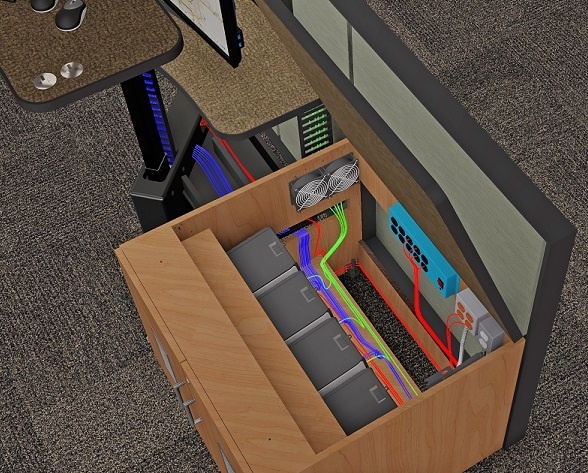 Download more information on Xybix's Cable Management. Keeping in line with ergonomic principles, Xybix keeps users knee and leg space clear and free of obstructions. 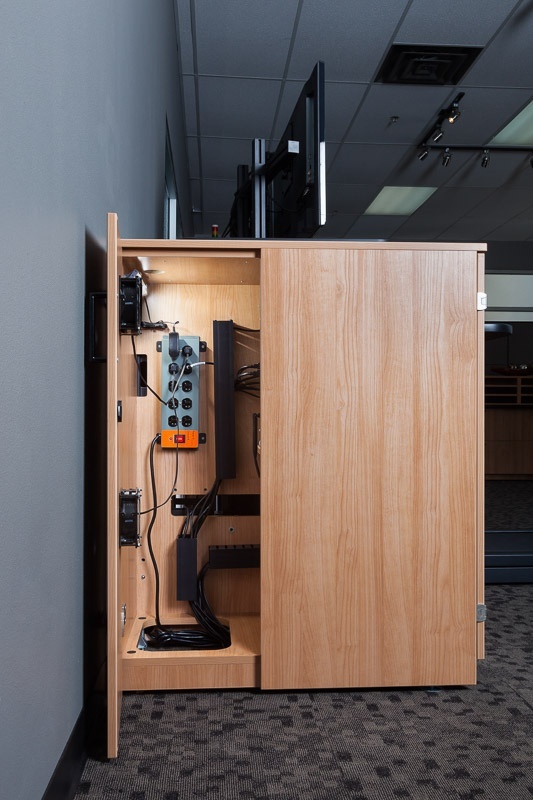 At Xybix, we place CPU equipment off to the side of the immediate user workspace, allowing users to stretch out and Tech's to easily access the equipment without interruption to the user. Xybix ensures your equipment is easily accessible for quick maintenance.